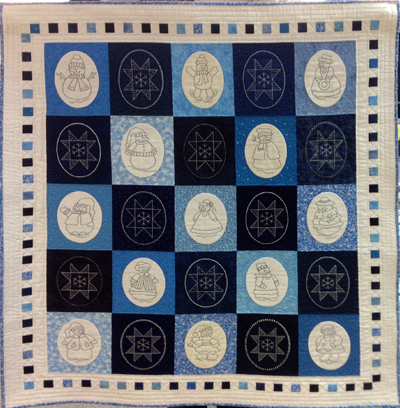 This 12″ square wallhanging is perfect for your office, or for the stands which hold this size of quilt. 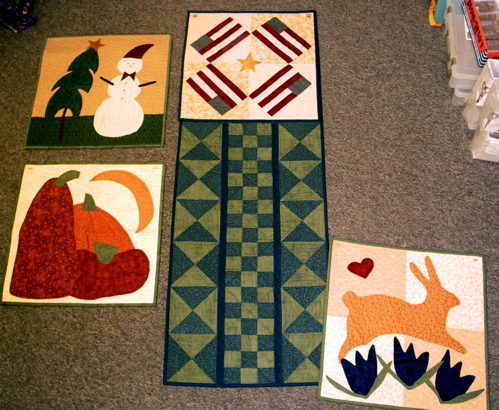 Fabric kits are available just like the quilt pictured. Patterns and button kits sold separately.